Hola! Are you a mobile app developer? Then here’s a good news for you. You must be enjoying the app launch scheduling feature in iOS. But here’s something new today on Android. 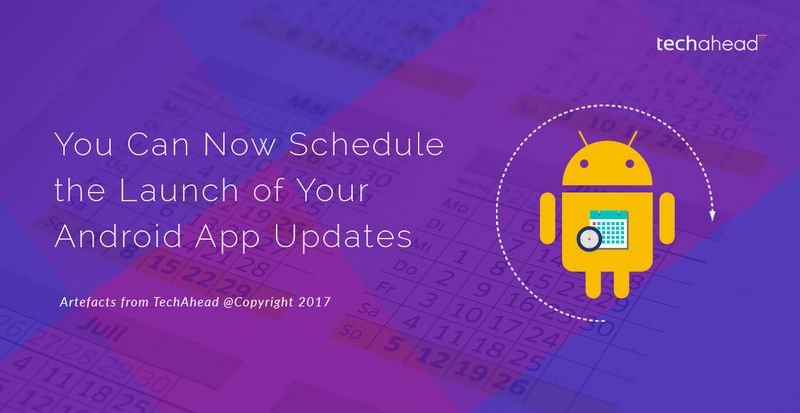 Well, not the schedule of an app launch but you can now schedule the launch of your Android app updates. Yes, you heard right, other than the standard publishing you can now enjoy timed publishing of your Android app updates. • Go to your Play Console. • On the left menu, select Store presence. – You can turn on timed publishing from several pages in this section, including Store listing and Pricing & distribution. • At the bottom of your screen, go to the “Timed publishing” switch. To turn on timed publishing, move the switch to the right until it turns blue. • Review details about timed publishing, then click Turn on. • After you’ve made your update, go to the bottom right of your screen and click Submit Update. Your update will be processed as usual. • To review your update, click View change log. Step 2: Make updates to your app. • After you’ve made your update(s), go to the bottom right of your screen and click Submit Update. Your update will be processed as usual. Step 3: Publish your app update. • Once your update has been processed, and you’re ready to publish, look for the “Timed publishing” header at the top of any page. To know more, you can read here. It’s now time to update the existing app. Lets go. Here’s a good news for you. Other than the standard publishing you can now enjoy timed publishing of your Android app updates.